The Fijian Drua need to win against the Canberra Vikings this weekend to consolidate their position at the top of the NRC table and also increase their chances of getting a home semifinal. The Drua have performed well this year, dropping just one game to Queensland Country in round three. This week they take on the Canberra Vikings in Lautoka, a team they lost to in 66‑5 in 2017. 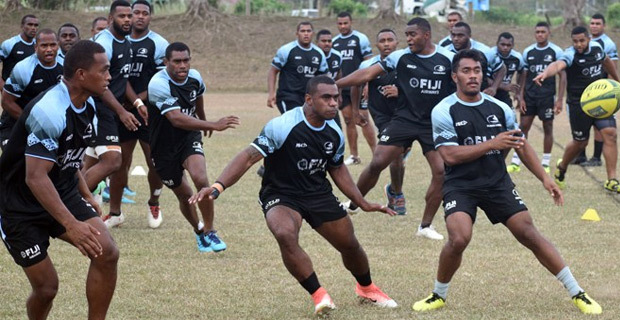 The Fijian Drua are unbeaten at home this season. Enele Malele will be resuming his duties for the Fiji Airways Drua after sitting out three games due to an ankle injury. Malele has been listed on the bench. The coach has made a few changes to the side with Peni Naulago returning to the second row and Cyril Reece into centre. Veremalua Vugakoto is also in the match day squad. Alivereti Veitokani will start at number 10. The Fiji Airways Drua play Canberra Vikings at 3 this afternoon in Churchill Park, Lautoka and you can catch the live commentary on Viti FM 92.2FM.